Some of the finest early reader texts in one collection for your beginning reader who’s taking off and starting to read up a storm. 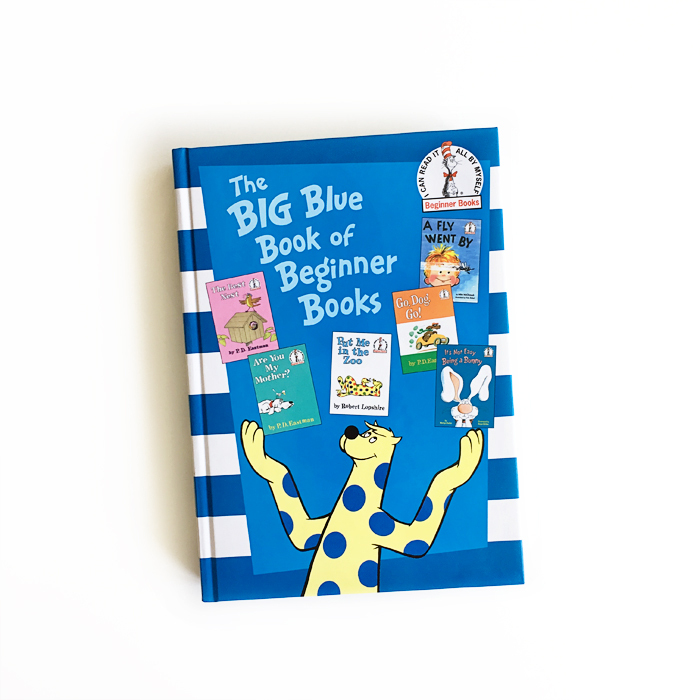 The Big Blue Book of Beginner Books includes P.D. Eastman’s Go, Dog. Go!, The Best Nest and Are You My Mother?, Robert Lopshire’s Put Me in the Zoo, Mike McClintock’s A Fly Went By and Marilyn Sadler and Roger Bollen’s It’s Not Easy Being a Bunny. There's a range in reading level amongst the texts, but the readability is mostly first grade. Be sure to take a look at the entire series—you might find another favorite set of stories that will help build your budding reader's fluency. Published by Random House Books for Young Readers.